Check out BLU Pure View price in the US on Amazon, specs, features and other details. BLU Products, the US-based unlocked smartphone seller has announced all new BLU Pure View smartphone. It's the first BLU smartphone with 18:9 display and comes with what BLU delivers until now. It's the latest BLU cell phone 2018 model. It's priced at $129.99 and available for purchase on Amazon. 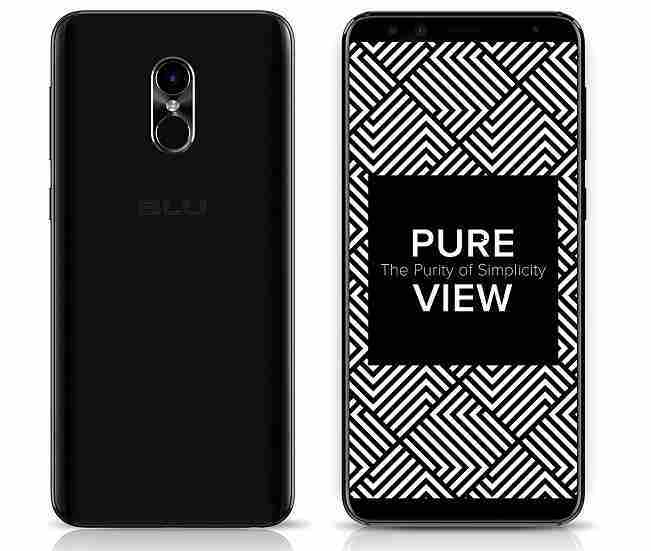 Going through the BLU Pure View specs, the device comes with 5.7 inch 1440 x 720 pixels HD+ display and powered by Mediatek MT6752 processor with 3 GB of RAM and 32 GB inbuilt storage. BLU Pure View smartphone features face unlocking technology along with fingerprint scanner unit. It's a factory unlocked smartphone that you can use with any network like AT&T, T-Mobile, Sprint, Cricket Wireless, MetroPCS, Straight Talk, Verizon Wireless and others networks which supports 4G LTE, (1/2/3/4/7/12/17/28), and 3G HSPA+ (850/900/1700/1900/2100). BLU Pure View is priced at $129.99 in the US and available for purchase from Amazon. It comes with US warranty and it's currently available.